The past several years has been challenging for volunteer fire departments in Rockland County as many are struggling with decreased membership and increased call volume. Like most volunteer fire departments, the Nanuet Fire Department needs to bolster its ranks so it can continue to provide the necessary level of fire protection and emergency response for its residents. 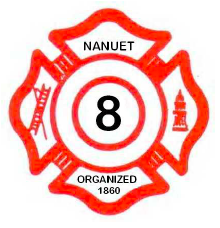 On Saturday, April 27 between 10:00 AM and 2:00 PM, the Nanuet Fire Department located at 29 Old Middletown Road, will hold a membership recruitment drive. The open house will be an opportunity for us to highlight the rewards and responsibilities that come with being a volunteer firefighter. It will also raise public awareness about the need for volunteers. During the recruitment open house, the Nanuet Fire Department will conduct tours of the fire station and fire apparatus, show the fire equipment that is used and allow visitors to try on firefighter gear. The fire department will discuss the requirements to be a volunteer as well as answer questions and let visitors know how to become members. All residents of the Nanuet Fire District are welcome to join us during our Open House. This is an excellent opportunity for people to meet with local volunteer firefighters and learn a bit more about the fire service. Volunteer firefighters are everyday heroes who dedicate their spare time to helping people in their times of need. We are always looking for new members, and it is our hope that after seeing the firehouse up close, more people will be interested in becoming a part of our fire department. For more information visit www.recruitny.org or www.nanuetfd.org. You can also contact us at (845) 623-9690 or stop by any Monday evening from 7:00 to 9:00 PM.